In Brief: The President of India declared 2010 to be the start of the “Decade of Innovation”, with a specific focus on addressing issues of poverty. To progress this national agenda, the National Innovation Council (NInC) was created in 2010 to develop a “National Roadmap for Innovation” over the next decade. Like many developing nations, India faces extreme issues of economic and social inequality. However, despite the challenges that India’s poorest face, its population also provides enormous potential to drive the nation’s growth and provide entrepreneurial solutions. The NInC began with a vision driven by Sam Pitroda, a highly-regarded entrepreneur who was behind the Indian telecom revolution. 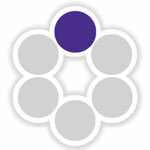 The NInC’s vision was to reorganize the Indian model of innovation from a culture of ad hoc innovation, or “Jugaad”, driven by scarce resources and customers’ needs, to a system based on strategic approaches that incorporate sustainability, durability, affordability, quality, global competitiveness and local needs.The NInC does not disregard the innovations of India’s poorest to meet their day-to-day challenges but focuses on building structures and policies that enable the government to identify, organize, support and scale these innovations. 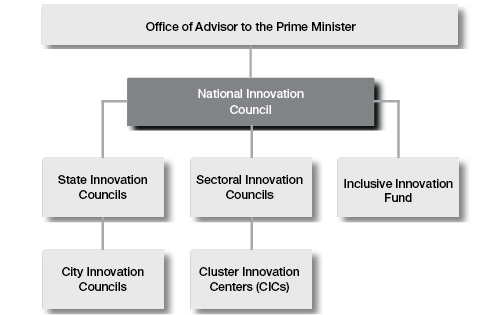 The NInC sits within the Office of the Adviser to the Prime Minister on Public Information Infrastructure & Innovations, led by Pitroda. At the national level, the NInC includes 13 members from diverse fields, including technology, healthcare, the arts and social entrepreneurship. For example, Devi Prasad Shetty, a cardiac surgeon and pioneer of affordable quality healthcare and micro health insurance in India and recipient of the Schwab Foundation Social Entrepreneur of the Year award in 2005, sits on the NInC. State, City, Sectoral and City Innovation Councils: The NInC facilitates the creation of these councils, which are structured similarly to the national hub with seven to nine members representing stakeholders or experts across local geographies and industries. Cluster Innovation Centres: India has an estimated 6,000 small and medium-sized enterprise industry associations (known as clusters) across the country; these associations are crucial to job creation for India’s poorest. However, they have largely remained unorganized as independent worker-based support networks, and businesses remain dependent on cheap labour, often providing inhospitable working conditions that cause serious health and environmental hazards. The NInC identified a huge potential for social and economic impact by providing these associations with support to innovate and stay relevant in today’s globalized world. To provide this support, the NInC created Cluster Innovation Centres (CICs), modelled on a public-private partnership that connects the industry associations to research and development organizations, industry experts, government programmes and financing institutions. 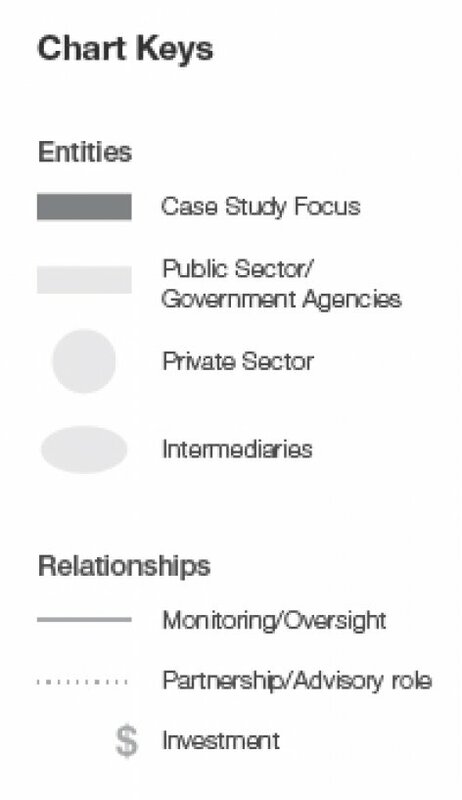 For an example of how CIC delivers social and economic impact see the “NInC on the Ground” box in this section. India Inclusive Innovation Fund: The NInC has focused on building market infrastructure by establishing a US$ 91 million early-stage venture fund to invest directly in social enterprises that generate moderate financial returns for the investor (projected 12% annual return), along with measurable social impact. The Indian Government is providing seed funding (20%) with the balance being raised from banks, insurance companies, financial institutions and development agencies. The fund is likely to be launched by mid-2013 with a life of 10 years, extendable to 13. Examples of potential investments include low-cost healthcare enterprises, clean energy social enterprises and inclusive mobile finance companies. “One MP – One Idea” Initiative: India has the largest electorate in the world. The National Parliament includes 790 elected ministers of parliament (MPs), representing constituencies across the federal Indian state. To spur innovations across the country, the NInC developed an initiative that encourages elected representatives to identify innovations from their constituencies. “One MP – One Idea” is a NInC initiative that allows MPs to give cash awards (funded through the federal budget) to up to three innovations selected from within their constituencies each year. Other initiatives: These include Innovation in Education, which creates new models for learning, and the Global Innovation Roundtable, which organizes events to spur collaboration between policy-makers and experts across geographies. The NInC’s programmes are still in their infancy. However, considering the complex task of engaging stakeholders in a country as diverse as India, creating such a dynamic structure and template for engagement is in fact a notable success in and of itself. The majority of NInC initiatives appear to be on track to meet their stated individual goals. For example, since 2011 the NInC has launched seven CICs across geographies and industries. These seven pilot CICs have involved 85,000 small and medium-sized enterprises, leveraged 39 public-private partnerships, created 1,000,000 jobs, and generated over US$ 4 billion in business revenue in poor communities. The NInC plans to build an additional 80 to 100 CICs by the end of 2013. The Indian federal government includes multiple political parties representing vast social-ethnic diversity. From inception, the NInC was designed to cut through these barriers and establish a direct link with India’s poorest communities and entrepreneurs. The “Decade of Innovation” declared by the President of India provided a 10-year vision for the role of the NInC and separated it from partisan politics. Furthermore, the NInC is led by Sam Pitroda, who is seen as an entrepreneur and innovator rather than as a bureaucrat in India. The NInC’s strategy is to act as a “catalysing agent” to bring about a long-term cultural change. Rather than independently implementing initiatives, the NInC acts as a consultant and facilitator, reducing bureaucratic bottlenecks and bridging market disconnects. This work increases the ownership of initiatives and empowers many more stakeholders to participate in identifying and developing innovation. 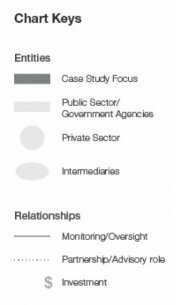 For example, by working with local enterprises to develop CICs, the NInC has engaged existing business associations to facilitate public-private partnerships. This facilitation connects small and medium-sized businesses to critical resources, helping them to independently develop new innovations that increase profits and improve the social and environmental conditions of their communities. A vital aspect of engaging stakeholders is to ensure access to information for every cultural and economic demographic. The vast and diverse Indian landscape poses a serious challenge; in response the NInC has focused on leveraging technology, for example, providing Internet connectivity to 250,000 village-level governing bodies and connecting all major knowledge institutions in India with high-speed connectivity. The NInC has also launched a crowdsourcing competition to identify innovative solutions in local communities. Such networks and platforms provide new avenues for collaboratively identifying solutions. Moradabad (also known as Brass City) is a town in the state of Uttar Pradesh and home to one of the oldest brassware industry associations (known as a cluster) in India. Traditionally, production is based out of artisans’ homes and requires coal-based furnaces and cyanide-based solutions to melt brass and finish the products. These techniques generate harmful air pollutants that lead to increased respiratory diseases and cancer among the artisans and their families. Despite taking on these health risks, artisans in the cluster make very little profit. In Moradabad, the brassware industry has faced serious challenges from global competition, experiencing a drop of over 80% in export orders in the past decade. The NInC intervened to remedy this situation, creating a CIC in the form of a physical hub in Moradabad to foster innovation in the brassware industry. The Cluster Innovation Centre builds the community ownership of ideas and reduces bottlenecks in both production and service delivery by pooling resources for research and development. These efforts have resulted in three vital innovations for the brassware artisans – improved coal-based furnaces, ready-to-use lacquer and cyanide-free solutions. These innovations increased daily incomes per furnace by 80% and improved the quality of products and working conditions for the artisans in Moradabad. 1 See UNDP Human Development Indicators, available at: http://hdrstats.undp.org/en/countries/profiles/IND.html. 3 See The Economic Times “Budget 2013” article, available at: http://economictimes.indiatimes.com/tech/budget-2013-govt-announces-rs-2000-cr-fund-for-scientific-innovations/articleshow/18728843.cms.